I saw this amazing coat a few weeks ago and had to get this post up right away. 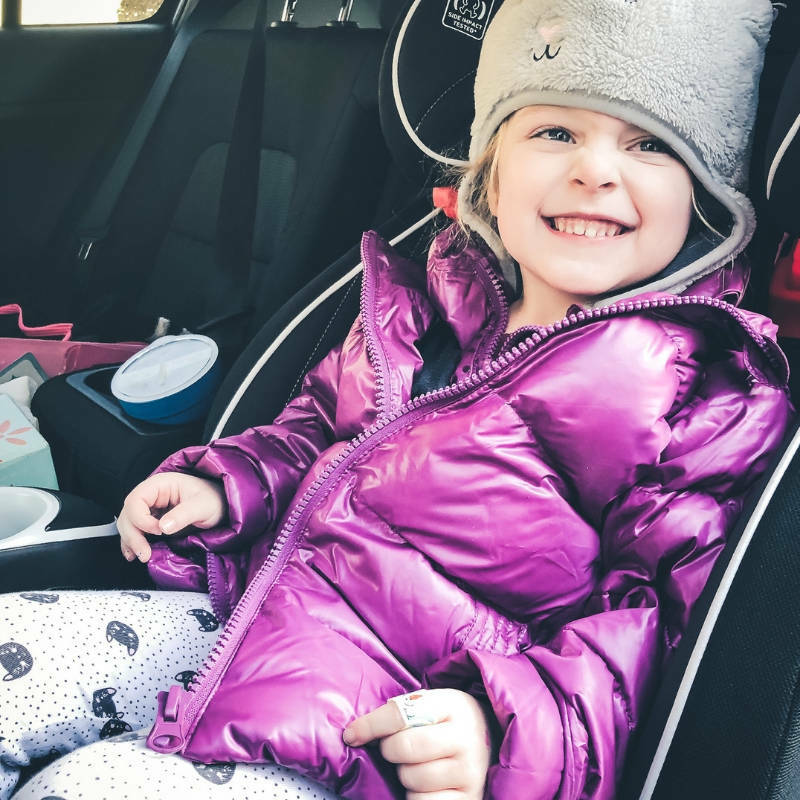 My biggest pet peeve as a parent is trying to keep my daughter warm in the frigid New England weather when she’s sitting in her car seat. I had no idea anyone made coats specifically designed for wear while in the car seat. When it comes to car seat safety, I’m a bit of crazy woman. I battled the masses to keep my daughter rear facing as long as humanly possible. I think she was a bit over 4 by the time we turned her. The crazy thing is that I would get in literal arguments with people about my choice to keep her rear facing so long. Like, people thought I was a bad parent for it despite the guidelines and despite…um…me being the parent of my own kid and being the boss of what I think is best for her? My poor hubby has to deal with my annoying strap inspections when we’re all driving together and he’s in charge of buckling her in. The straps are too loose! The harness isn’t laying across her chest in the exact position shown in the chart I emailed you 3 times. Don’t even get me going on coats. He’s so confused. 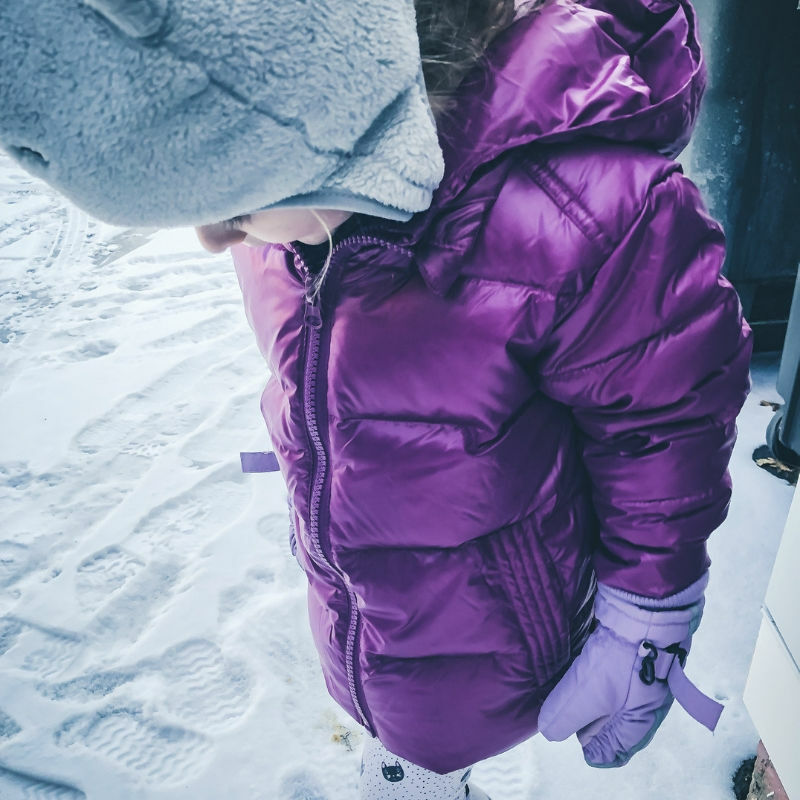 Although we never allow her to wear a heavy coat, there are some days we allow her to wear a light-weight coat as long as it doesn’t impact her safety. Poor guy never gets it right. I purchased this Road Coat from One Kid and am STOKED. 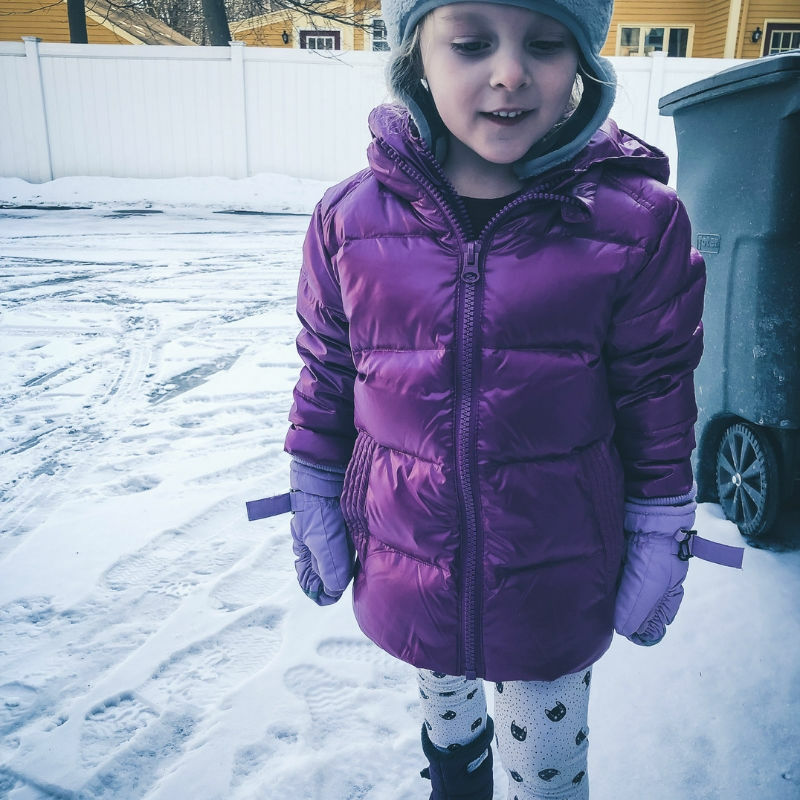 I totally didn’t need to buy a new coat for my daughter at the end of January, BUT we still have a whole lotta Winter left and Mama loves any product that makes my life easier. I wasn’t mad at the price tag ($74.99 on sale) especially since its filled with down (tested for negative 25 degrees which is pretty much how its felt here lately) and totally going to make getting my daughter in the car seat WAY easier. I usually spend around $40 bucks on her Winter Coat, but Mama will pay extra for the convenience and safety! I also sized up hoping that she’ll fit into it next season too (it’s definitely a bit big so if you’re looking for a snugger fit, size accordingly). 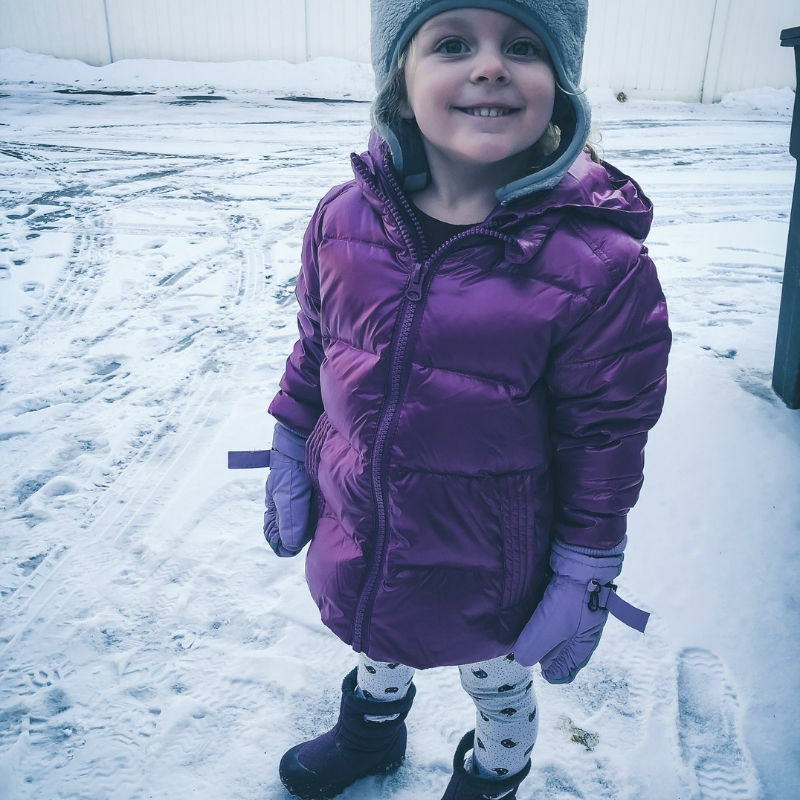 Oh, I SO wish I knew about these coats when my big girl babe was a tiny-babe. They carry size 12 months to size 8 and offer down and vegan versions (right now the vegan coats are only $39.99 on sale so grab em’ while they’re hot ladies!). They also carry transition coats (for warmer seasons), snowsuits and other outdoor weather accessories. 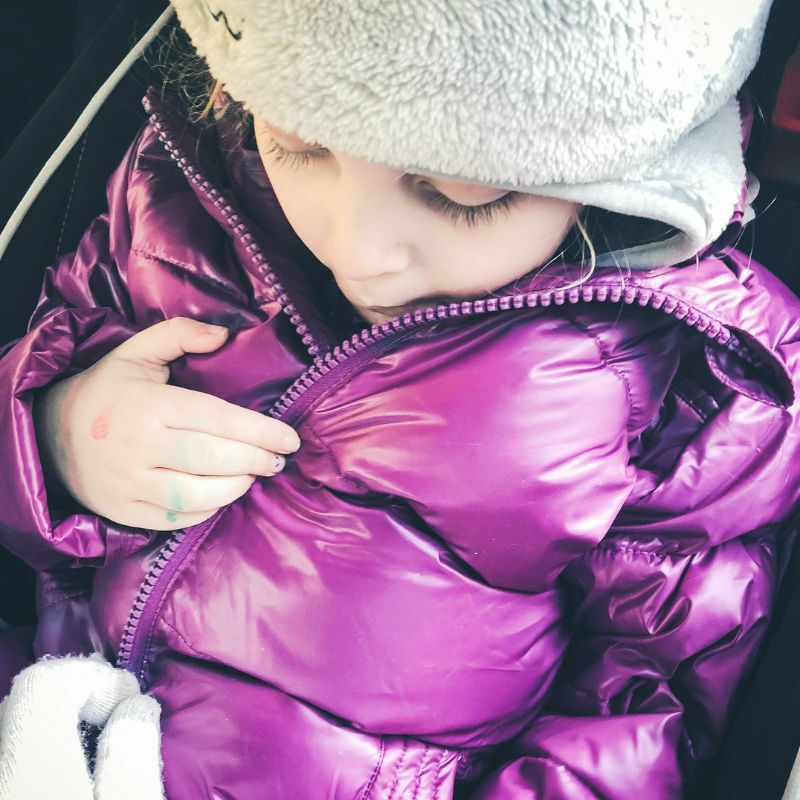 I love that you can put your kiddo in their coat inside the house, walk them to the car, leave them in their coat, and simply unzip and re-adjust once they are seated in the car seat. 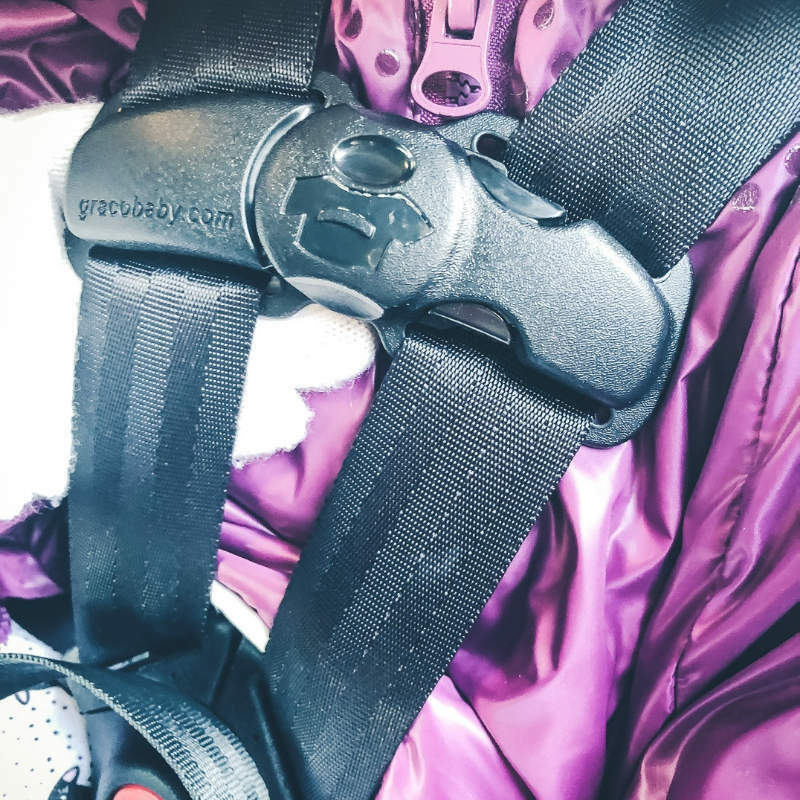 All you do is unzip the top layer, secure the car seat straps over their arms like you normally do and pull the outer flaps so they are not stuck under the straps. This coat is very warm, but also flattens out due to the down filling. So, there’s no chance of loosening car seat straps due to the heavy coat. These coats are wind resistant, water resistant and machine washable. 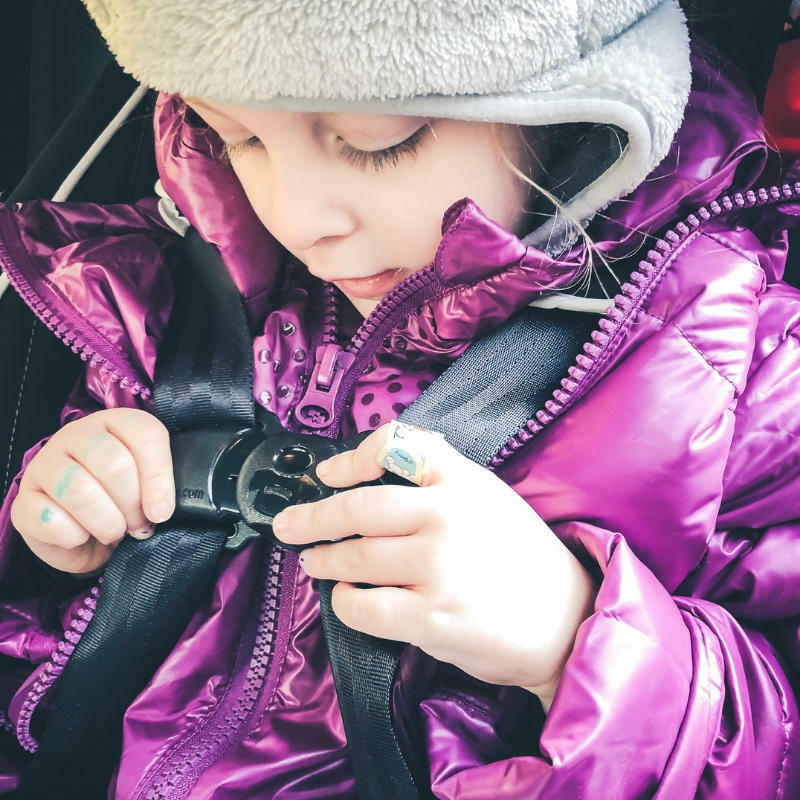 AND, they’ve been crash tested, reviewed and approved by a national expert in the field of child passenger safety as well as a certified instructor for both The National Highway Traffic and Safety Administration. So you know you’re not purchasing some rando thing that may or may not meet safety guidelines. AND, I mean…The Car Seat Lady reviewed it and gives it the thumbs up, so you know its legit. The colors are bright and stylish and just the best things ever. We’ve been using it for one week and I can’t believe how much stress it’s removed from my travels 🙂 Let me know if you get one too! 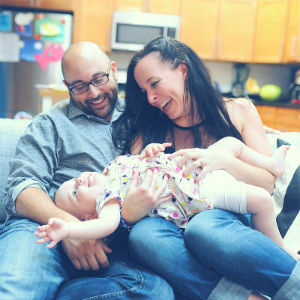 HERE’S 12 AWESOME PODCASTS FOR THE KIDDOS (GREAT FOR CAR RIDES)!